In this story, Jin fights alongside another samurai—a deadly onna-bugeisha named Masako. They joined forces to save their homeland from the Mongol invaders, but Masako’s tragic personal history drives a wedge in her relationship with Jin. As you’ve seen, this ends up forcing them into a duel at the end of the experience. This story offers a small window into Jin’s world and his journey to save his homeland from the Mongol Empire. The early moment when Jin overlooks his surroundings—the distant fires, sacred temples, and far off mountains—promises an island full of dangerous and stunning places to root out the invading Mongols. Even Jin’s outfit and how he chooses to fight are notable–foreshadowing some parts of Jin’s personal journey. He’s in a rain-drenched part of the world, so Jin has traded his traditional armor for a straw raincoat called a mino. And while he wields his katana with deadly skill, you can see he’s straying from his samurai ways to attack his enemies with the violent grace of a silent assassin. What does all this mean? It means there’s a much bigger story to tell—but that’s for another day. As a final thought, watch the red leaves swirl around the final duel between Jin and Masako. 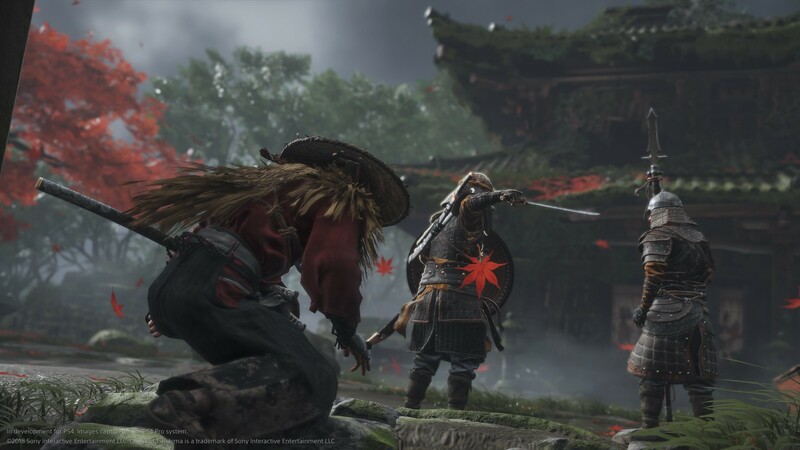 The red leaves are a visual metaphor for this story in Ghost of Tsushima—but also for the path it takes to create a game. Ideas swirling around and can almost be overwhelming for me–and at the same time incredibly beautiful and exciting. The first task is identifying a clear vision—picking out the one red leaf among thousands. Once you find that idea, you set out to pursue it relentlessly as the wind carries it in exciting new directions. Can not wait for this game!!! This game was fire. It seems like a new Omnimusha game. Can’t wait. But I can’t pre order it anywhere in Canada! Thanks for the insight Brian. Looking forward to learning more about the game. Looks fantastic from what we’ve seen so far! Looking good seems that we will be waiting another year for this to drop ? Will there be japanese language option? Looks great, except, once again, THEIR ARMS ARE TOO SHORT. Big problem in character design over the years. Please fix before release. Yeah this looks awesome…i mean all of the spotlight games did. I really enjoyed Second Son and First Light but it’s awesome to see SP working on stuff outside of the inFamous universe and dang does the passion for a new creative IP show here. Well done! I’ve waited a long time for this type of game thank you SIE & Sucker Punch Productions! My partner thought I was having a heart-attack while I watched this trailer, as all I could do was repeat shocked expletives and stare in pure shock and awe for nearly nine minutes XD This can gobsmacking game cannot arrive soon enough. 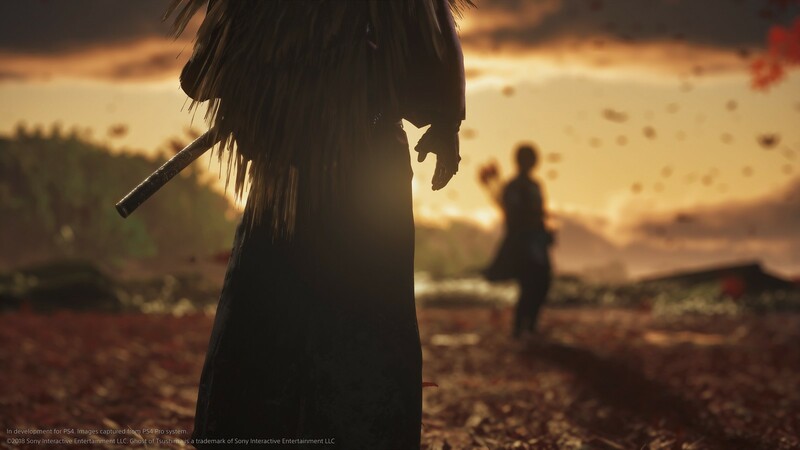 Blew me away…it was just what I was expecting since the reveal last year knew it would be impressive.Cannot wait to see more of the open-world and how it’ll work,I’m pretty sure it’ll take the Horizon route being an action RPG which is the genre that defined the PS4 era.Pre-order confirmed hands down ma most anticipated game I knew it would be this good I just knew it…no game has made me this excited since Horizon. 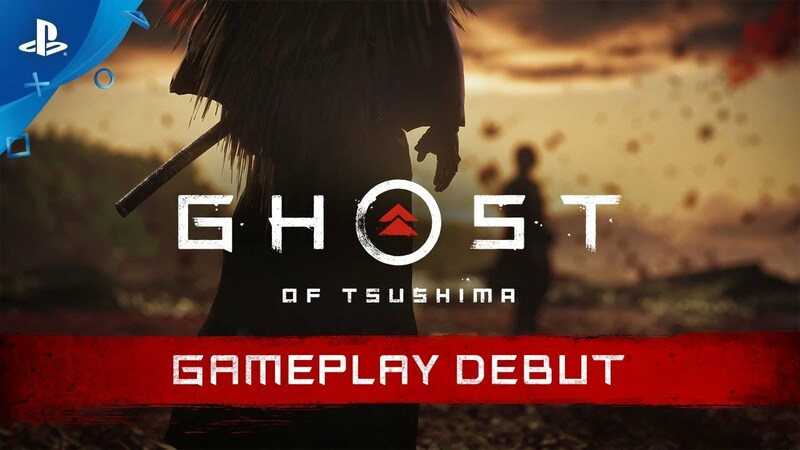 Forgot to say that Ghost totally stole the show…to do that when TLoU 2 and Death Stranding gameplay were revealed I can only say awesome job. 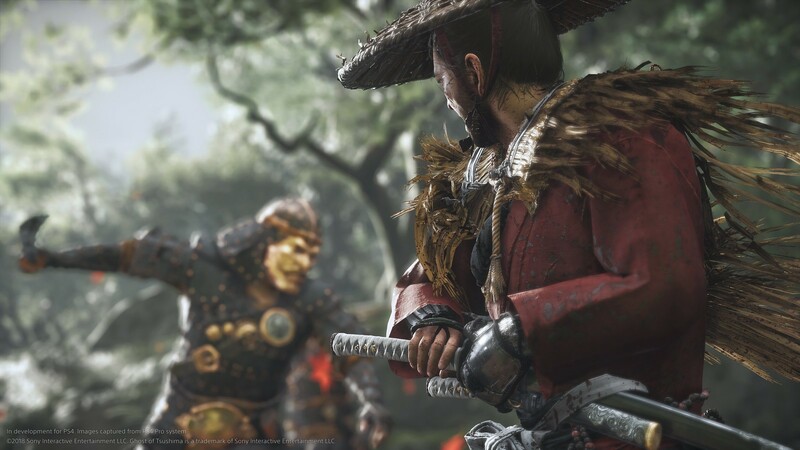 Hey Sucker Punch, if you were trying to be historically accurate, WHY do you have a female samurai in the game? THEY DID NOT EXIST. Why have you succumbed to the progressive left trying to change history? Better for games to be true to history, even when its uncomfortable to modern audiences. I love my strong female Tomb Raider leads, but what you are doing feels forced and phony and ruins the immersion of your game set in his historical times. Sigh.